With the exception of Vic 1, number 8 would be one of the most valuable heritage plates available. Aside from being a lucky number across many Asian countries, the number 8 plate was just the second to be registered to a private car in Victoria. Plate numbers 1 to 6 were all originally registered to state government vehicles. 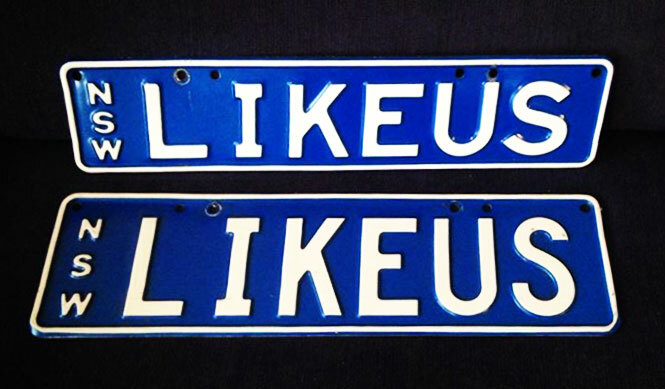 Check out our Victorian single digit number plate listing for more similar plates. “Had a quick chat to the lady. Her grandfather worked at what was vic roads back in the 50’s. Vic 21 and Vic 8 were handed in and he acquired them for no price. The plates were handed down. Vic 21 to her mum and Vic 8 to her uncle. Vic 8 was sold 20 odd years ago and Vic 21 was given to her by her mother. She also said that she may put vic 21 to auction soon. “Some might say this is one of the most valuable Heritage Plates in the country and rumor has it that the owner has actually been offered $2 million to sell in which it was declined. “Rumour has it that it was allegedly owned by a little old lady in the better suburbs and was on her slim body Camry. When her husband passed away she went to trade in the Camry and had no idea how much the plate was worth. Fortunately she found an honest car dealer who advised her it was worth much more than the car. If you have more photos of information about Vic 8 please get in touch with us.